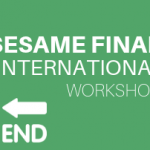 On 7 June, KTH students Marti Jeltsov and Kaspar Kööp obtained their PhD based on SESAME-related work. The PhD defense of Marti was chaired by SESAME Senior Advisory Committee member Janne Wallenius. 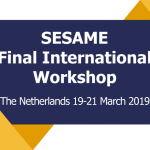 Furthermore, SESAME experts Mariano Tarantino and Afaque Shams served as opponents during the defenses of Marti and Kaspar while SESAME experts Vincent Moreau, Katrien Van Tichelen, and Ferry Roelofs served in the evaluation committees of their PhD defenses. We are happy to announce that both defended their thesis successfully and received their PhD from KTH in Sweden. This was celebrated in the evening with an excellent BBQ, wine, and a lot of Vana Talinn as both PhD students are from Estonia. Also, both young doctors were asked to participate actively in a real ‘CFD’ (as in Cake Flight Dynamics) experiment which was about an innovative measurement technique to determine at which fall velocity a cake will disintegrate when being caught in a basket.